Get industry-graded EMC hard drives for Servers and Workstation computers from a vast collection at Memory4less.com. A combination of mid-range network storage drives and robust software capabilities is available to manage and consolidate data for data-intensive servers. EMC Hard drives with clarion architecture, formulated on a common high-availability design, enables you to address a broad range of application environments. Enhance the capacity of computer servers with extra internal and external EMC storage disks. Calculate the amount of data storage you need for your computer system and order top-quality hardware solutions now. If you are confused about which EMC hard drive to buy for your computer system, call one of our memory representatives and get suggestions that will suit your data-capacity needs. 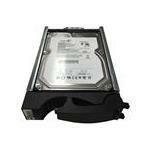 Browse our collection today and get quality hard drives for data storage. We offer free shipping.